As I mentioned in my previous post, I wanted to go to the Art Gallery of Ontario for my birthday. And go I did. I was off to a bit of a late start, but I wasn’t going to rush today. It was MY day. I got to the bus stop and as I walked out to meet the bus, another car drove by and splashed water all over me. Not a great way to start the day, but I wasn’t going to let it get me down. I had packed a lunch and was going to make the most of this crappy looking day. I’ve had to borrow many photos here since they are not permitted in the gallery, but I’ve attempted to give credit where credit is due. The staff was extremely helpful and gave me some advice on what I should do on my first trip. I arrived around noon and there was a highlights tour at 1 pm. I thought that would be a great way to get to see the gallery and it was only an hour long. I started off in the Thomson wing since it was the closest to me. It took me almost the whole hour to go through. Some of the pieces that I was drawn to in this section were in Section 108, a collection of death articles. This included mostly carvings and jewellery such as pendants. “Death Stealing A Child” – Circle by David Heschler is a good example. Also a Skull Pendant w/ Entombed Skeleton was intriguing. The attention to detail was amazing and somewhat grotesque. Today some people wear such items to get a rise out of others, but when these were made, they were meant as protection from the devil or to scare people into submission of the church. Another favourite of mine in this area were the Chinese Snuff Bottles (Sec. 111), especially #93. Yes, there are that many of them. I also went through a photography collection of Abel Boulineau. This collection had been discovered by an intern at the AGO (See? Interns are good!) . Originally thought to have belonged to another photographer, the intern found a photograph of Auberive and on the back it said “Ou je suis ne” or “where I was born”. Knowing that the photographer who was thought to have taken them was not born there, she delved further and found the name of Abel Boulineau. Time for my tour! I joined about a dozen people on the tour with our guide Adrienne. We met in Walker Court and then proceeded to Section 121, part of the Tanenbaum Centre for European Art. 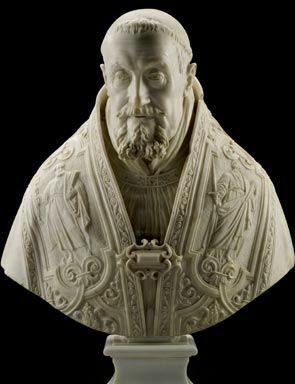 One of the first pieces we were told about was the bust of Pope Gregory XV by Gian Lorenzo Bernini in 1621. A very impressive piece indeed. From there we passed through to the Grange area, which has big windows, not something I’m used to seeing in a gallery. We took the elevator up to see this piece: X. It was apparently brought up from the depths of the gallery. It had been commissioned by the AGO and incorporated many different pieces of art that are displayed in the gallery itself. It kind of reminded me of Dali. I could go on for days. Needless to say, I spend at least 5 hours there and was able to take my lunch along, take a tour and not pay a dime. Nothing much in the gift shop was up my alley. I was going to make this a really long post, but decided to let you go for yourself. One of the things that really drove me to go back was the Art Chat that I attended and the book that I got from it, Highlights. Gave me a glimpse of everything. 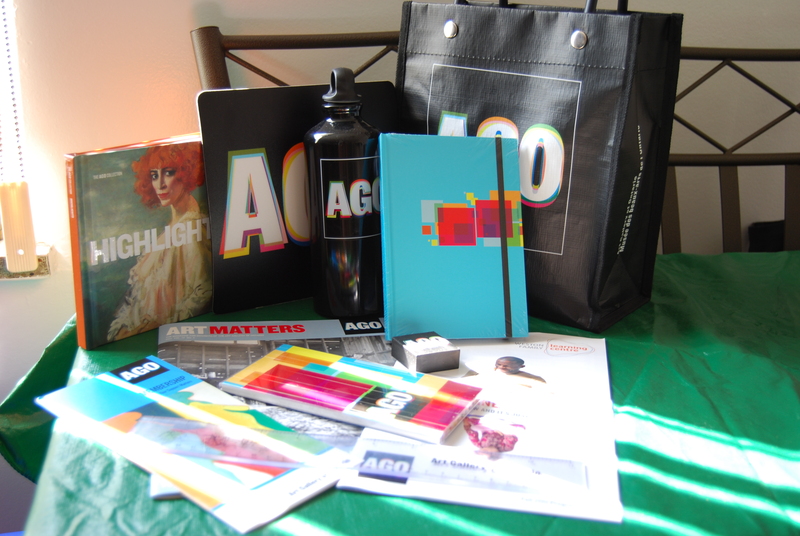 A few months ago, I received an invitation to the #AGOChat back in August of this year. I’m ashamed to say that after living in the city for more than 25 years, I’ve never actually visited the Art Gallery of Ontario. It took me moving to Hamilton to actually take the time to do it. This year for my birthday, I’m going to the AGO. At the Heart to Art Chat at the AGO, they invited a cross section of people to get their opinions. In attendance were members of the gallery (current or past), some that had visited before and some that had never been, such as myself. First thing I have to note is that they served a wonderful spread and everything they used to serve it was recyclable or bio-degradable. The other thing that was nice to note is that they didn’t run out of anything. At some events, you go to get something and they’re gone. Not here. It was nice to see that level of detail. Why people come to the Gallery or why don’t they? What keeps them away or what keeps them coming back? What is missing? What do other Galleries do? and (my favourite) a notebook! 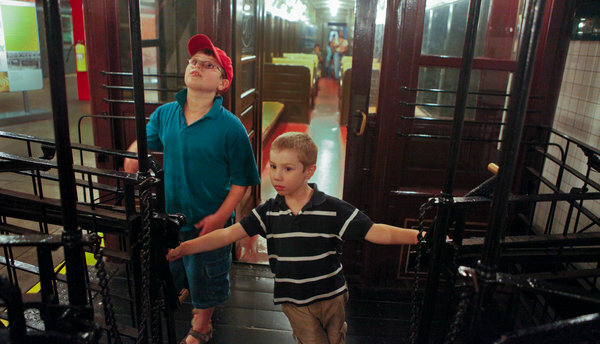 Oliver, left, and Ravi Greene, who are regular visitors to the New York Transit Museum. I wonder how much of a coincidence this is. Now, if I dig deeper into the article, I am reminded of the sessions that I attended at the Art Gallery of Ontario on Saturday. Though I did not attend this particular discussion, I wonder if this museum has touched on a great idea. One of the interesting things that I heard about at this event is the fear of some parents with small children that their little hands might touch something they aren’t supposed to. I also know that there are movies for mummies where they have an afternoon showing of a movie for mothers with small children without fear of babies crying and disturbing someone else. It was definitely a busy day yesterday. On Friday I just chilled out knowing that it was certainly going to be a whirlwind on Saturday. And I was right! I got full use out of my metropass! 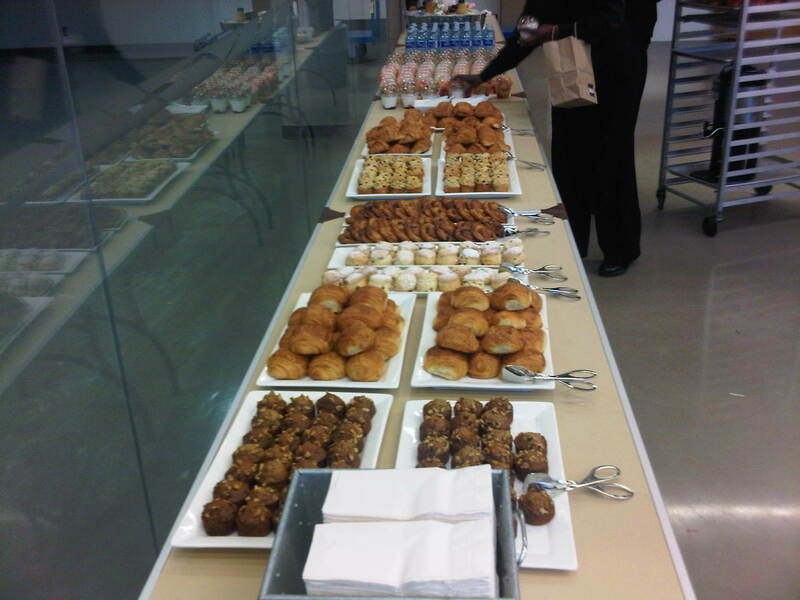 My day started out with a great event at the Art Gallery of Ontario. 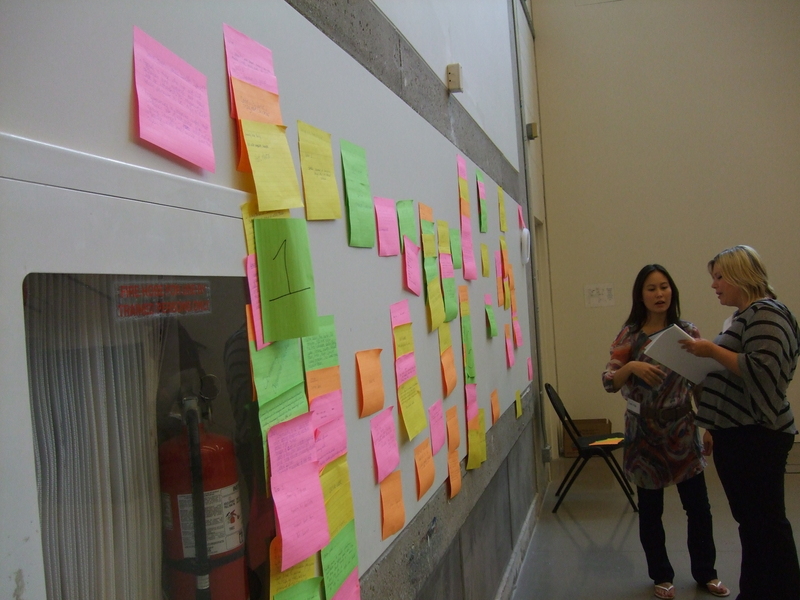 It was intended to get feedback from the public about the Gallery. I’ll be posting more on it tomorrow, but you can certainly follow the discussion on Twitter by watching the hashtag #AGOChat. The photos from that event are posted here. I know that Rannie will certainly have wonderful photos posted from the event soon. As a thank you, we walked away with some pretty cool swag. Definitely setting the bar on that one! Barbecue. This was done jointly with the Toronto Google Technology Users Group which I attended two weeks ago where I won my Andy. Unfortunately, I didn’t get there until it was almost finished, so I won’t have much on that except to say that it was a packed room and a great bunch of people. Even after the presentations were done, there were some great discussions and of course cool swag. 😉 You can follow the Yorkville Media Centre for more details on this, the #TOGTUG group and of course, AndroidTO coming up in October. I’ve posted the photos from the Stella Artois Block Party here. Please feel free to tag at your leisure. This was another great event where I got to see some old friends and meet some new people that I might have seen on Twitter, but hadn’t had the chance to meet in person. Many thanks to @StellaArtoisCAN for throwing this great event. Follow the hashtag #BlockParty from last night to see some craziness. I’ll be writing on these topics more in the coming days so stay tuned! Okay, first thing I have to admit: I have lived in Toronto for 25 years and I can’t remember ever having been to the Art Gallery of Ontario. I had the pleasure of attending the Mayoral Arts Debate and walked through only a very small portion of the gallery, but realized that I hadn’t ever been there. I didn’t get much of a chance to go around, but I now realize that this needs to be on this list and crossed of it very soon. I need to do this if for no other reason than to erase my shame. Obviously, I need to increase my culture.